It costs more to be a woman, but blame that on the pink tax. IT’S HOW MUCH women PAY in extra Costs EACH YEAR FOR SIMILAR PRODUCTS SOLD TO MEN. VISA’S FAIRPRICE CALLS OUT BRANDS THAT ARE CHEATING WOMEN. 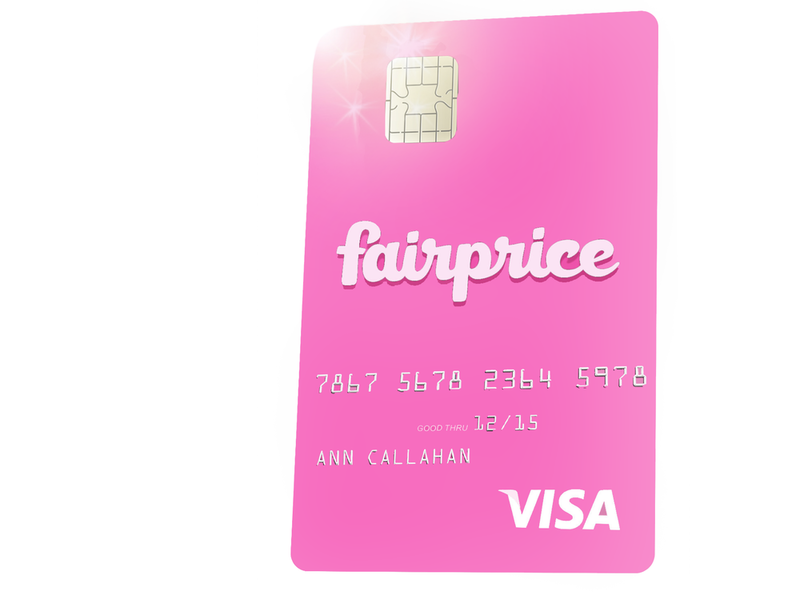 ON INTERNAtiONAL WOMEN'S DAY We Took over visa.com to launch FAIRPRICE. THE FAIRPRICE app is A PERSONAL SHOPPING ASSISTANT THAT FIGHTS THE PINK TAX. IT provides alternatives based on ingredients, price, and brand. NEON signs ARE GIVEN to businesses who want to shoW their commitment to going pink-tax free AND TOTE BAGS for customers BUYING THEIR products. OUR pink card rewards women for shopPing at pink-TAx free locations. receive 7% back becAuse women, on average, spend 7% more on THEIR products. Cash back maximum to pay WOMEN BACK is $2,188. THIS MACHINE COMPARES YOUR EVERYDAY PRODUCTS. PURCHASE PINK ONES AT YOUR OWN RISK. DON’T GET TANKED WITH PAYING A PREMIUM PRICE FOR THE SAME GAS.